Losing a loved one is never easy, but when the death was caused by the negligence of another, it can be particularly trying on your family. In these situations, it's common to feel angry and frustrated, and you may have many unanswered questions about how such a preventable tragedy could have occurred. Fortunately, you don't have to go through this difficult time alone. Anthony Castelli can help you get the answers you need and hold the negligent parties accountable for your loved one's death. Mr. Castelli has more than 30 years of experience handling wrongful death claims for individuals in the Cincinnati area. He understands the devastation you and your family are experiencing, and he'll work tirelessly to help you get the closure you need after this tragic event. While no amount of money can truly compensate you for your loss, the compensation you receive in a wrongful death case can go a long way towards easing the financial burdens created by the death of your loved one. You can learn about your rights and options by speaking with Mr. Castelli in person. Please call (513) 621-2345 today to schedule your free consultation at our Cincinnati personal injury law office. In order to have a valid wrongful death claim, your loved one's death must have been caused by the negligent actions of another. In Ohio, the surviving family members of the deceased, including the spouse, dependent children and in some instances the parents, may be entitled to recover compensation for their loss. 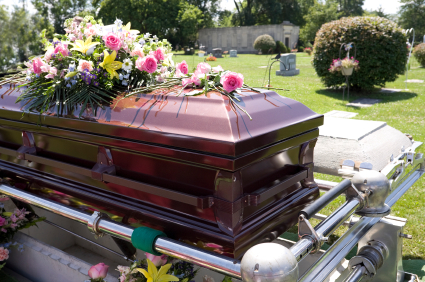 What Types of Damages can I Recover in a Wrongful Death Claim? After the case is settled, the wrongful death damages and recovery is divided among the beneficiaries by the probate court unless there is an agreement in place that specifies how these damages will be divided. The process of calculating damages in a wrongful death case can be very complex. Damages are divided into two separate categories -- economic and noneconomic. Economic damages refer to the actual monetary loss suffered due to this death. Non-economic damages refer to damages which don't have a concrete financial value. While both types of damages can be challenging to calculate, non-economic damages may be particularly difficult. Mr. Castelli works with financial analysts, forensic economists, family psychologists, and other experts in order to arrive at an accurate calculation of the economic and non-economic damages suffered by your family. When a loved one dies, the complexities of a legal claim against the negligent party can be overwhelming. At this already stressful and emotion-laden time, you'll need the guidance of an experienced attorney who understands the challenges you're going through. Mr. Castelli has witnessed first-hand the devastation caused by the wrongful death of a loved one, and he will treat you with dignity, compassion and respect while aggressively fighting to protect your rights. We have an eBook written with the help of psychologists on traumatic loss. Click here to read more. While the last thing on your mind at the moment may be filing a lawsuit, it's important to act fast. The state of Ohio imposes certain deadlines, called statutes of limitations, on your ability to file a wrongful death claim. By speaking with Mr. Castelli right away, you can ensure that your case is filed before the appropriate deadlines. Please contact the Law Office of Anthony D. Castelli by calling (513) 621-2345 today to schedule a free wrongful death consultation. Mr. Castelli serves clients in Cincinnati and throughout Ohio.